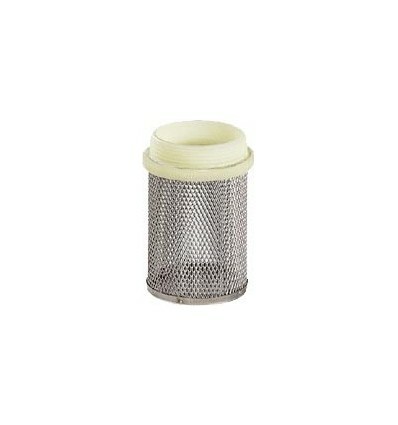 Stainless steel AISI 304, strainer male thread in nylon material. It's screwed on check valve male tapped. DN 3/4" 1" 1" 1/4 1" 1/2 2" 2" 1/2 3" 4"